Dirty Wars is a 2013 American documentary film, which accompanies the book Dirty Wars: The World Is a Battlefield by Jeremy Scahill. The film is directed by Richard Rowley, and written by Scahill and David Riker. Author Jeremy Scahill criticizes drone wars, the Western approach to the Middle East and Canada’s role in the war on terror. 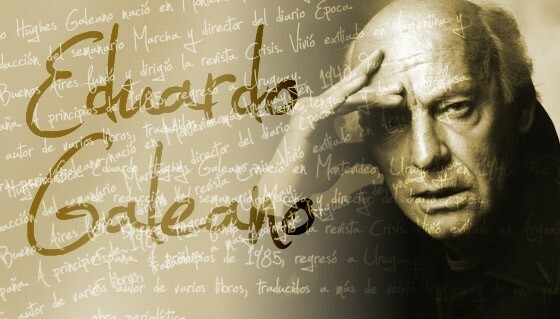 My heart has been heavy since learning over the weekend of the death of the radical and marvelously lyrical Uruguayan writer Eduardo Galeano, whom I had the enormous pleasure of meeting some 20 years ago. This review was published at The National. “A man,” wrote the poet Shelley, “to be greatly good, must imagine intensely and comprehensively; he must put himself in the place of another.” The novel, if well-achieved, is the form offering the greatest opportunity to experience the world through another’s eyes, to escape the self by shifting perspective; a novelist could perhaps be defined as a person able to see his home as freshly as a foreigner would, someone unable therefore to take anything for granted. 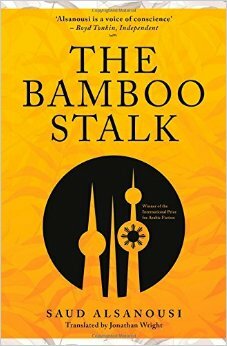 This is Saud Alsanousi’s successful conceit in “The Bamboo Stalk” – a plea for tolerance and 2013 winner of the prestigious International Prize for Arabic Fiction – a text supposedly translated from Filipino to Arabic, now really (and wonderfully) translated to English by Jonathan Wright. So Alsanousi, with great wit and lightness of touch, portrays the inner dynamics of not one but two families, and of at least two cultures. Half the book takes place in the Philippines, a tropical and entirely credible setting, redolent of mangoes and diesel fumes. Amongst the vividly drawn characters are a roguish, broken grandfather and Isa’s mixed-race cousin Merla, who has good reason to resent both men and Europeans. She looks to an unconventional love for solace, as well as to the “purely Filipino religion” of Rizalism, a deification of independence hero José Rizal. Syrian-Freedom-Charter-logo‎Planet Syria – كوكب سوريا‎ has declared tomorrow — 7 April — a global day of solidarity with the people of Syria. In the spirit of this important effort, I present the following interview with Talal Barazi, Program Associate with the Foundation to Restore Equality and Education in Syria (FREE-Syria), a civil society development and humanitarian support organization, about the Syrian Freedom Charter, a momentous initiative inspired by the South African Freedom Charter. The Syrian Freedom Charter is a national unity document based on tens of thousands of face-to-face interviews with Syrians, in every governorate of the country, about what kind of society they want. Over the course of a year, a team of over a hundred activists assembled by FREE-Syria and the Local Coordination Committees (LLC) of Syria, completed more than 50,000 surveys. How did the South African Freedom Charter influence the Syrian Freedom Charter? ‎Planet Syria – كوكب سوريا‎ has declared tomorrow — 7 April — a global day of solidarity with the people of Syria. In the spirit of this important effort, I present the following interview with Talal Barazi, Program Associate with the Foundation to Restore Equality and Education in Syria (FREE-Syria), a civil society development and humanitarian support organization, about the Syrian Freedom Charter, a momentous initiative inspired by the South African Freedom Charter. The Syrian Freedom Charter used the South African Freedom Charter as a model from which to work. The biggest influence the South African Freedom Charter had on the Syrian counterpart was in the idea. We also leveraged the expertise of a university professor who was involved with South Africa’s ANC for more than 30 years, and other experts with experience in other conflicts (Ireland, South America). In the final analysis, we consider the Freedom Charter a national unity document, in which the vision of the Syrian people is the only component. We also used the format of the South African predecessor to lay out the vision of the Syrian people. How representative is the Freedom Charter? 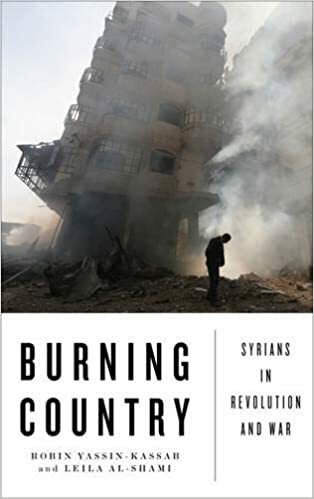 The introduction refers to Syrians “from our diverse backgrounds, ethnicities, and religious sects”. How much of a cross-section of Syrian society does the document represent? Were Syria’s minority communities genuinely included? Can you provide some numbers? As a document of national unity, the target number of surveys for the Freedom Charter was done proportionally based on districts, not based on ethnicities or religious sects. To get a proportional representation of all districts, we looked at the percentage each district made up of the total population, and set our goal for each district, proportionally, based on that. We did work in areas with prominent minority presence such as Sweida, a governorate known for the high presence of Druze, and Hassaka, a governorate with a large number of Kurds. The work was harder in predominantly Alawite areas and Damascus proper. 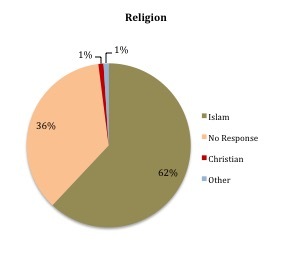 With that, we see that 50% of people chose not to disclose their ethnicity, and 36% of people chose not to disclose their religious beliefs. 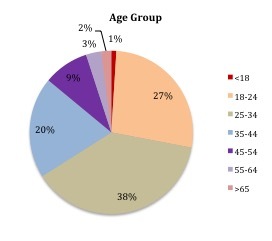 Below are the graphs for the demographic questions. 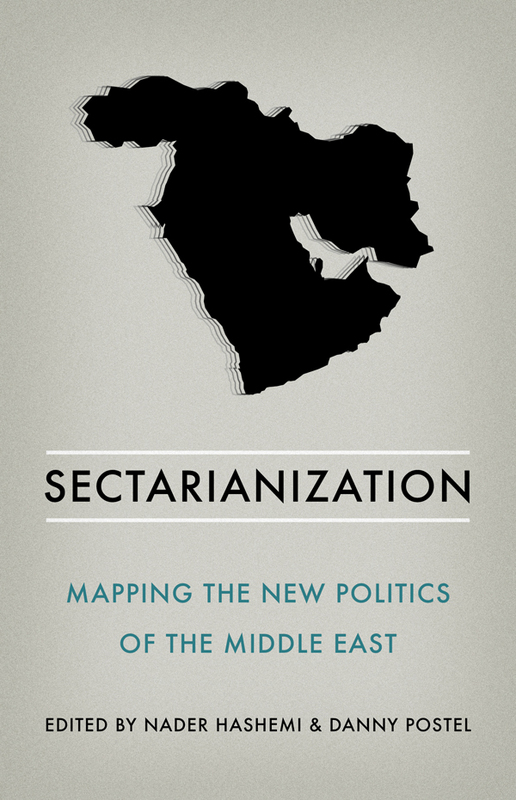 How would you respond to the argument that the sentiments and ideals expressed in the Freedom Charter represent only a thin layer of Syrian society — an elite sector that is educated, westernized, urban, and/or living in exile — and that the sectarian violence the country has descended into is a more realistic reflection of popular sentiments and political loyalties? This view has been advanced by Joshua Landis, for example, but it’s widely shared across all sorts of ideological boundaries. There is nothing elitist about the Freedom Charter — in fact, it is truly “the voice of the people.” The Freedom Charter represents the opinions of ordinary Syrians — more than 50,000 — the majority of whom live inside Syria under abysmal conditions imposed by the Assad regime and other militarized groups. The actual surveys were conducted at the grassroots level. Activists surveying in a specific district were locals of the district. 99% of surveys done were completed inside Syria and in neighboring countries that currently host a large number of refugees. 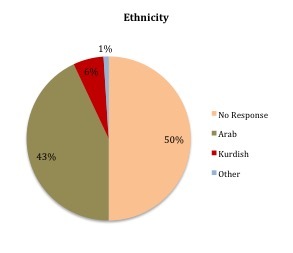 The only precondition for surveys was that respondents be Syrian, without regard to ethnicity, religious affiliation, political affiliation, or social/economic status. There’s a lot of discussion now of finding a political solution in Syria — some sort of negotiated settlement. Of course that’s not a new idea, but for a while it seemed to have receded from the horizon with the failure of the Geneva process, the exasperated resignation of both Kofi Annan and Lakhdar Brahimi as Special Envoy for Syria, and the seemingly intractable geopolitical deadlock over Syria. Recently, however — with the new geostrategic equation created by the intervention against ISIS — the push for a political solution is being revived. Various proposals have been floated, and virtually all of them involve Assad staying in power in some form. So my question for you is: the Freedom Charter doesn’t directly address the issue of political transition — how to get from the current moment to the political order outlined in the document — but from your point of view is there ANY scenario in which it would be acceptable for Assad to remain in power, or does the Freedom Charter necessarily preclude that? For more than three years, Syrians have taken to the streets in both nonviolent and armed resistance to state what they do not want. The goal for the Freedom Charter was to express to the world what Syrians do want. The document does not discuss the transition period, nor the current situation; it is purely a statement of what Syrians are demanding. The Freedom Charter articulates the desires and goals of the Syrian people, not the process to achieve them. With regard to the political process, FREE-Syria certainly advocates nonviolent solutions. However, the Assad regime has proven, through the failed initiatives of Kofi Annan and Lakhdar Brahimi, that it is not prepared to pursue a political process. Rather, the regime has and continues to use deadly force, including chemical weapons, against civilians, particularly children. We do not foresee a future in which Assad or those regime supporters with blood on their hands can play a lasting role in a peaceful, democratic Syria. 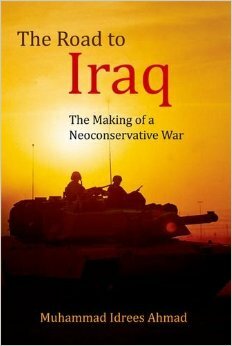 For more on the Syrian Freedom Charter, go here. For more on ‎Planet Syria‘s global day of solidarity with the Syrian people, go here.